Hey, New Kid! 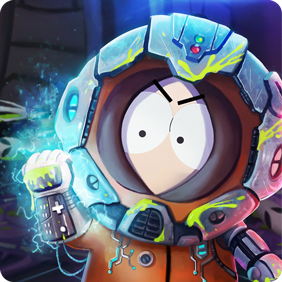 A brand new game mode has just come to South Park: Phone Destroyer! Challenges have come to the streets of South Park, and with them, new opportunities to earn sweet rewards. As a result, this will allow players to test their skills with Challenge rules on a more even playing field than standard PvP. In Challenges, players won’t have to worry about losing their spot on the PvP Leaderboard, either! Instead of an Elo-based ranking system, there will be a special “Challenges Leaderboard” where players can compete for the top spot based on the number of wins they achieve without a defeat, and compare their skills to others. Each time a new Challenge is released, all players will be given an entry. Players can play until they complete the Challenge, or until they accumulate three losses. Once players complete the Challenge, or receive three losses, they’ll have the chance to try again for a little bit of in-game cash. In order to keep draws to a minimum, Sudden Death in Challenges will last for 3 minutes! What kind of Challenges will we see? The Sudden Death Challenge – the first player to take an enemy health bar wins! The Triple Threat Challenge – With triple energy, you can cast more cards, but the New Kid will also deal triple damage! The Health Drain Challenge – Players can spawn more units, but their health depletes over time! The Wimpy Kid Challenge – Your New Kid will be extra vulnerable to damage! Be sure to keep him safe! These are only a few examples of the exciting Challenges we’ve got planned! Log in now, so you can take part in the first-ever South Park: Phone Destroyer Challenge for a chance to win yourself some awesome loot, and earn the top spot on the Challenge Leaderboard! You can also send us your ideas for any awesome Challenges that you’d love to see in the game, and if your Challenge is selected, we’ll name it in your honor! That’s all for now, New Kid! Keep your eyes peeled for next week’s exciting Challenge! Until then, we’ll see you on the streets of South Park!